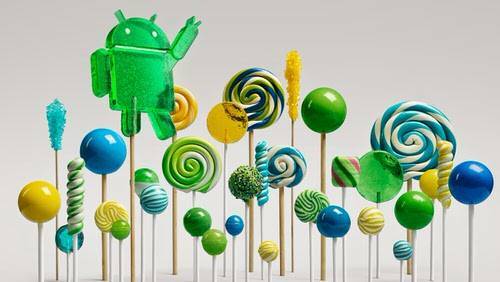 With its latest device announcements, including the Nexus 6 smartphone and Nexus 9 tablet, Google has effectively given the public its first real glimpse of Android 5.0, officially dubbed Lollipop (née Android L). The operating software represents a sea change in the way the company approaches mobile development. Indeed, Android is growing so much that it has now officially extended out from your hands and entered your living room. Nexus Player—not to be confused with Nexus Q or Google TV, or the company’s much more popular Chromecast—is Google’s latest stab at conquering your living room. With this sweep of Nexus devices, Google isn’t just showing you its intentions around hardware. It’s also demonstrating Android’s evolution and transformation—from glitchy experiment to mature commercial platform. If there was any doubt about the mobile industry’s love affair with huge phones, Google just cemented it with the Motorola-made 6-inch Nexus 6, its largest smartphone to date. For comparison, the display on Apple’s new iPhone 6 Plus measures 5.5 inches; Samsung’s Note 4 comes in at 5.7 inches. 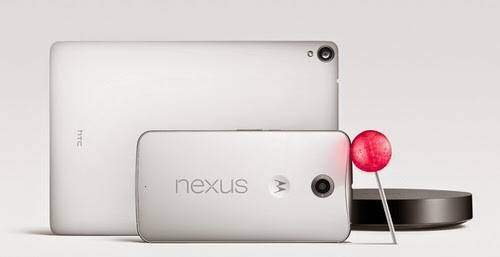 The Nexus 6 debuts alongside HTC’s 8.9-inch Nexus 9 tablet, the first of Google’s own devices to offer a 64-bit processor. The Nexus 6 may look like just a blown-up version of the Moto X, its former subsidiary’s well-received smartphone. 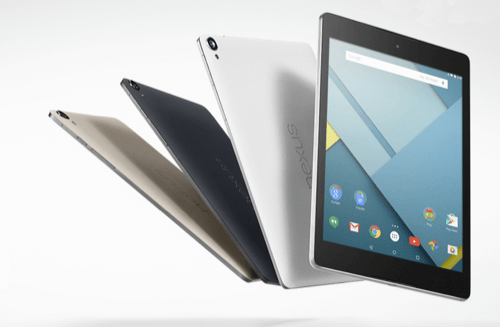 But Google clearly has some grand plans for it and its souped-up tablet cohort. As Google’s first commercial products carrying Android Lollipop, both Nexus gadgets serve as examples of how the company thinks Android devices should work.  Most obvious is the design revamp—with new fonts, colors, animations and layouts. Under the hood, Lollipop also features better battery management and longevity, smarter notifications and the culmination of its Material Design efforts, which updates the user interface and lets developers easily build apps that can accommodate multiple screen sizes. Perhaps even more than Apple and its Auto Layout tool, Material Design may be crucial for Android development, considering there are literally hundreds of devices based on the open platform. But perhaps the most intriguing aspect of Lollipop—and its new gadgets, for that matter—is the fact that, for the first time, Google gave app makers months to play with the new software. Google has long released Nexus devices as reference platforms to guide other Android manufacturers in their design decisions and to highlight the capabilities of unmodified Android. But the company has had trouble convincing manufacturers and mobile carriers to upgrade older devices to new versions of Android in a timely manner. 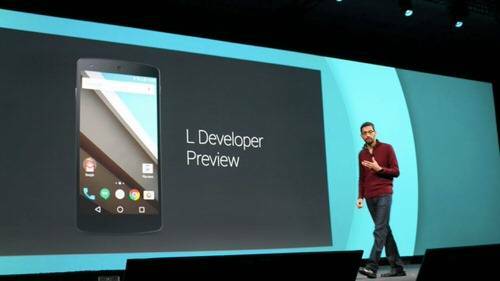 The summer-long Android L preview, however, has given manufacturers a nice long look at what to expect. And that could help convince carriers to push out upgrades more speedily. What you’re witnessing now may be Android’s graduation ceremony, marking its transformation from an interesting (though popular) experiment to a more polished platform for real consumer products. The huge Nexus phone and new powerful tablet are also joined by Android’s first commercial TV device. Not that Google hasn’t attempted to breach the living room before. Its first two TV gadgets, Google TV and Nexus Q, were unequivocal flops. (The Q never even reached the market; Google yanked it before release.) Then Chromecast strolled in last year, and its cheap price tag and technical evolution charmed the pants off developers and customers. The spirit of Chromecast still lives in the Nexus Player. Developed in conjunction with Asus, the new set-top offers Chromecast’s casting functionality, which flings streams to your TV via mobile devices, along with a another rather hot tech trend: voice features. If the latter sounds familiar, it should: Amazon hyped voice command in its Fire TV streaming box earlier this year. The feature was intriguing at first, but the device wound up squandering its initial interest—mostly because it failed to search or control anything but Amazon’s own TV streaming offerings. Voice eventually opened up to cover outside services like Hulu Plus, Crackle and Showtime Anytime, with juggernaut Netflix on the way. But that may be too little, too late. 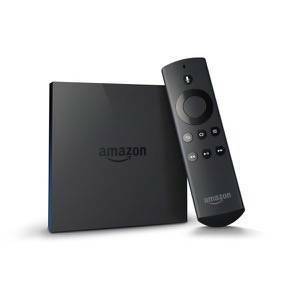 (Amazon’s now selling the Fire TV at a reduced price.) And now, it has some competition from Google, whose Nexus Player aims to show people how voice should be done. 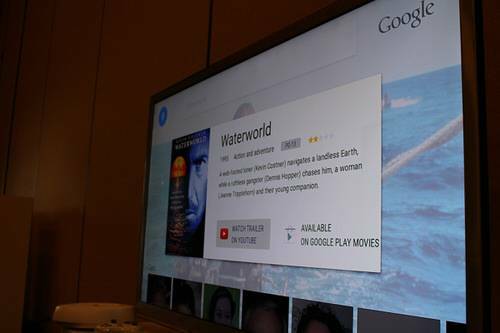 I got an early look at Android running on a Google streaming box—as an example of the company’s “Android TV platform”—at the Google I/O developer conference last June. That was back when the console was square, not round. It looked like a pretty standard set-top, and it reliably piped entertainment and games as well as the competitive offerings. But it was the extras that made it stand out. Chromecast casting, which is becoming a must-have feature in TV streaming devices, is present in the new circular Nexus Player. No separate dongle required. So is Google Now-like voice search, with swipeable info cards that display contextual results—including movie titles, actor bios, cast info, relevant YouTube clips and other information. If there’s one thing Google should nail, it’s search. When I tried out an early version, it performed well. Then again, so did Fire TV’s voice search, limited as it was. 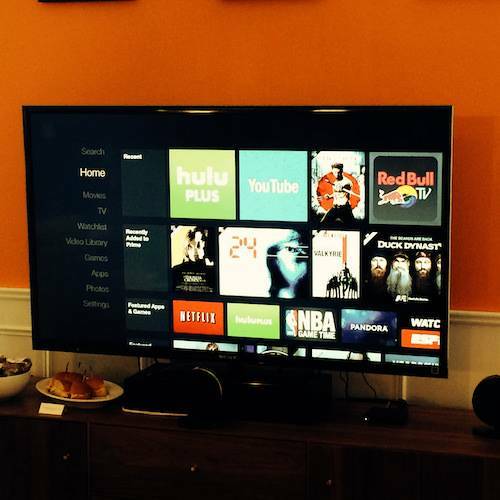 Fire TV’s real issue is the lack of support from other apps for its voice feature. The new Nexus Player may not suffer the same fate. At Google I/O, engineers told me that the company focused on third-party support, making it easy for developers to turn their Android mobile apps into Android TV games, streaming services and more. In one case, it took a developer just a week to whip that up. The set-top will also work with Android smartphones, tablets, and smartwatches, letting them control the action or provide a second-screen experience to watching TV. No Android mobile? No problem. Just use the microphone-equipped remote control or gaming controller. Pre-orders for the Nexus Player will start this Friday. On Thursday, we’ll see what Google competitor Apple is up to. It already launched its super, mega iPhone 6 models. But it hasn’t officially revealed what’s in store for its iPad line-up, or its Apple TV. But evidence suggests that Apple may be taking its billion-dollar TV set-top business more seriously. Some fans hope to see Siri land on televisions, which would set it on the Nexus Player and Fire TV’s path. Although that still sits firmly on some people’s wish lists, there’s another development with a bit more cred: According to recent software updates, there are signs that Apple wants to tie its TV product to its HomeKit initiative. With this, the console might turn into a smart home hub that controls a user’s house and all the connected appliances in it. As it turns out, Google has dipped a toe in the smart home niche already. The company bought Nest smart thermostat company, which now owns Dropcam. So far, it doesn’t appear that those dots will connect to the Nexus Player. At least not yet. But if Google goes there, and Apple bows to Siri integration in Apple TV, we could be on the verge of giving sci-fi fanboys what they’ve been dreaming of: voice-powered dominion over their whole homes.